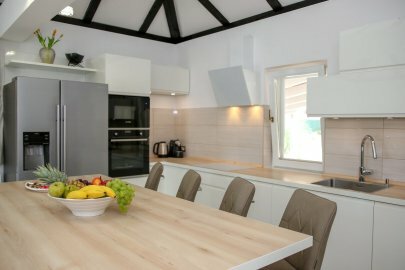 The countryside villa Gabriel is located in Pokrovnik only 20 km away from the famous historical and tourist centre Šibenik and the National park Krka. Everything you need is a short drive away; the shop is 3 km away and the closest restaurant is at 8 km away. 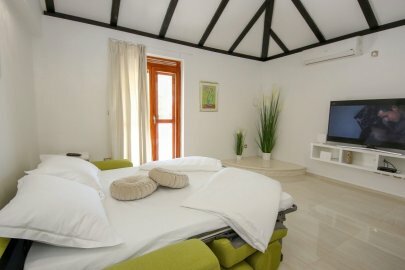 The beautiful villa Gabriel can accommodate up to 8 guests. 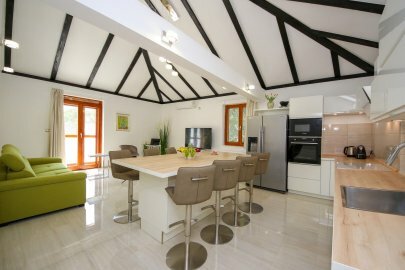 This lovely villa features 3 spacious bedrooms with SAT TV and air-conditioning, as well as 3 bathrooms, one being an en-suite. A children's bed is also available. 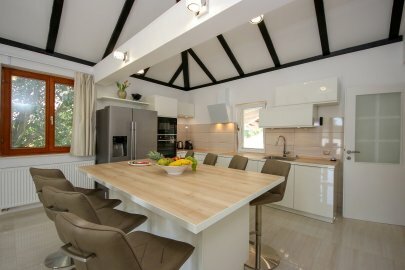 While staying in this nicely decorated villa, guests can fully relax in the spa area which has a Jacuzzi and a sauna. There is also a separate toilet. 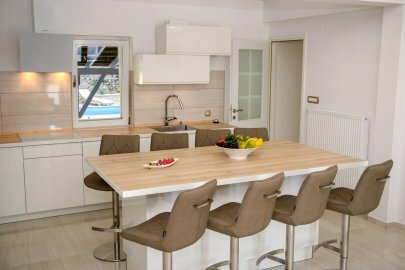 At the guests’ disposal there is also a play area which features a pool table, darts and table tennis. Air-conditioning spreads throughout the whole property and maintains a cool temperature in the hot summer days. 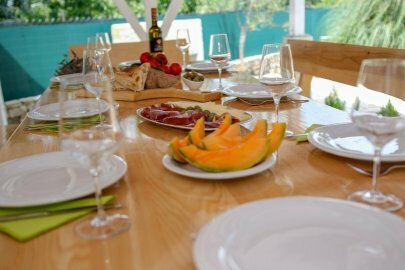 Guests can also relax by the fireplace while the kids enjoy a game on the PS4 game console or they can relax by the swimming pool under the parasol with a cold drink while the children have fun on the children's playground. 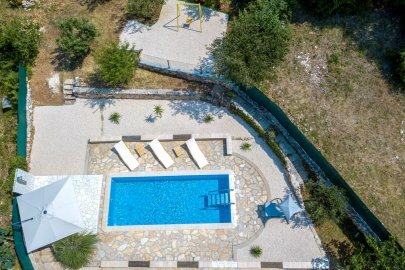 Family villa Gabriel is the perfect choice for those who would like to have a peaceful and private vacation surrounded with nature, but close enough to interesting sights of Dalmatian cities. 15 others are considering this property too! Contact us if you have any questions about villa and find out special deals!